The project is a collaborative activity between Telefonica and Ericsson aiming at the identification of concrete use cases, requirements and features, prospecting suitability to Telefonica reference scenarios. The project is carried out by Ericsson Research in tight cooperation with the Ericsson Network product management and system management. Tests took place at 5TONIC, the 5G research and innovation open lab founded by Telefonica and IMDEA Networks, and where Ericsson is an outstanding member. The purpose of this activity is to investigate transport architectures, based on the eXHAUL concept developed in Ericsson, mapped onto the Telefonica radio access network and compatible with current LTE deployment scenarios, as well as allowing a seamless migration towards 5G networks. The reference scenario envisions a common infrastructure for backhaul and fronthaul that, starting from current radio access network and current LTE deployment scenarios, enables a seamless evolution towards 5G networks, considering relevant use cases agreed with Telefonica. The solution supports any client type for the different 5G protocol splits, satisfying tight requirements of latency, jitter and synchronization. 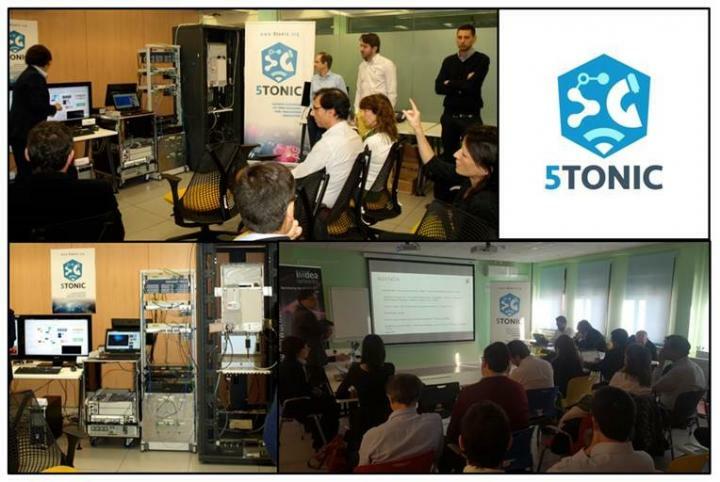 The tests performed at a 5TONIC event, which took place on November 16th, correspond to the second phase of the eXHAUL Project, that was initiated from the participation in the EU H2020 5G-Crosshaul project. The aim was to prospect a convergent infrastructure solution for 3G, 4G, 5G and business customers, concluding with the development of a PoC oriented to 5G Mobile-business convergent services. In the event, an overview of the solution was presented, providing insights into the research that led to the eXHAUL concept, including topics like photonic technologies, networking aspects, control and the migration path from legacy to 5G. The event concluded showing the demo of the eXHAUL solution. This joint research activity will continue in the coming months, focusing on topics such as the simplification of the configuration of the nodes in the last network segment, in order to reduce operational costs and facilitate interworking with the aggregation network. The solution developed will also address the reduced latency and deterministic delays required for 5G Services, as well as the SLA for service definition, the OAM aspects, and different bit rates for connectivity, assuring a smooth evolution towards 5G.